This is a sneak peek. You can see final photos here. This is my third pregnancy but my first time doing a maternity photo shoot. In fact, I don’t have too many photos from my previous pregnancies for reasons that any pregnant woman can relate to. I felt too tired, too fat and too foreign in my growing and changing body. Today in my 30’s, I’m much more confident with my body whether it’s too thin, too big, or too saggy. No, let me rephrase that. I’m now inattentive to what others may think about my body. Even though I can dissect my body into tiny parts and point out what’s wrong with it, why it’s far from perfect bodies portrayed in magazines and social media, I now know that most people don’t see all the flaws the way I do. We are our worst critic. Tune out the other voices, this is for myself. One day I will look back and realize how beautiful I was today, in the same way I feel when I look at my 20-something photo. How come I didn’t know I was so youthful, radiant and glowing? Why did I not see it then? Our eyes must be tainted by illusion of perfection because I still don’t see this when I see myself today. The difference is, now I know better. I’m beautiful; my body is beautiful, this line across my belly is beautiful, my darkened areola is beautiful, the rashes on my stomach are beautiful, my growing thighs and loose skin are beautiful. My body is beautiful because it serves a purpose other than satisfying societal norms and standard of beauty. It’s beautiful because my body is not made for others, but for the creation of a new life that will grace me with many more joys, lessons and illuminations. Our bodies are God’s most sacred creation, its capabilities His finest art. My body is beautiful because it serves a purpose other than satisfying societal norms or standard of beauty. It’s beautiful because my body is not made for others, but for the creation of a new life that will grace me with many more joys, lessons and illuminations. Our bodies are God’s most sacred creation, its capabilities His finest art. This is probably the first and last time I will show this much skin in any of my photos. And I decided my last pregnancy is the perfect opportunity to step out of my comfort zone and remind myself to break out of the traditional mommy mold and to embrace my femininity, my maternity, my beauty, my today. If you’re an expectant mom (or future mom) don’t be like me and wait until your third pregnancy to capture your beautiful pregnancy curves. Set aside a morning or afternoon for yourself to capture the beauty of your curves, your changing shapes, your miracle baby-making body. We are miracle makers; embrace your special goddess powers. Above is a sneak peek of the intimate photoshoot taken with an iphone. Photos are taken by lovely photographer Esther Sun who uses film photography. I can’t wait to see and share the rest. You can see final photos here. O.M.G. Angela! BEAUTIFUL photos! I love everything!!! I LOVED being pregnant, it’s such an amazing thing for a woman! I love these photos. 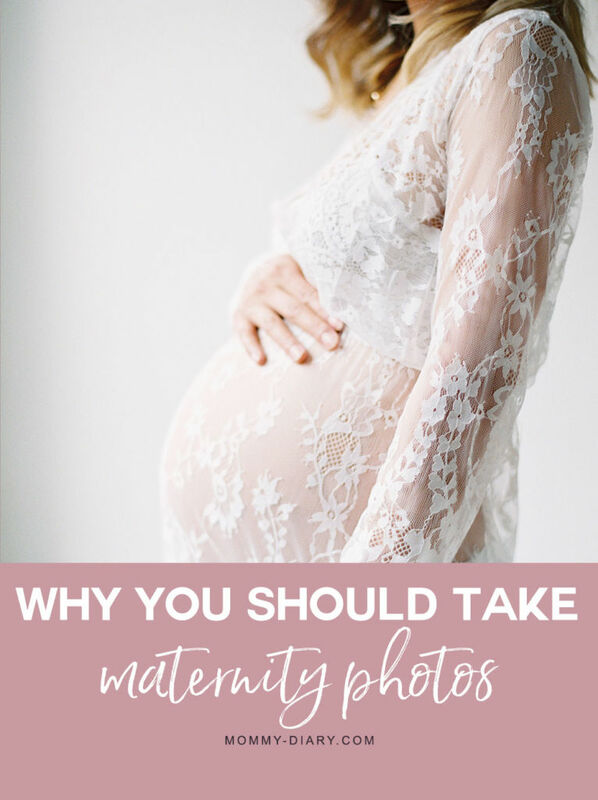 I found your blog on TMB and I’m so glad I did 🙂 I wish I’d been well enough during my pregnancy to get photos done. I must ask…where did you get this dress? I want to see if they make my size! Glad to meet you! This is the link to the dress. https://www.etsy.com/listing/265491009/camille-lace-maternity-gown-long-sleeve?ref=shop_home_active_17 These are custom made so I’m sure you can have one made to fit you. I really loved mine.